Twenty and Twenty+, five practical and versatile solutions to suit every need. Maximum technical performance in all situations. Twenty is a 60x60 cm FMG monolithic slab, a single piece of shaped natural stone which is 20 mm thick, offering a technical product that is ideal for outdoor surfaces and designed to resist inclement weather and to withstand heavy loads. 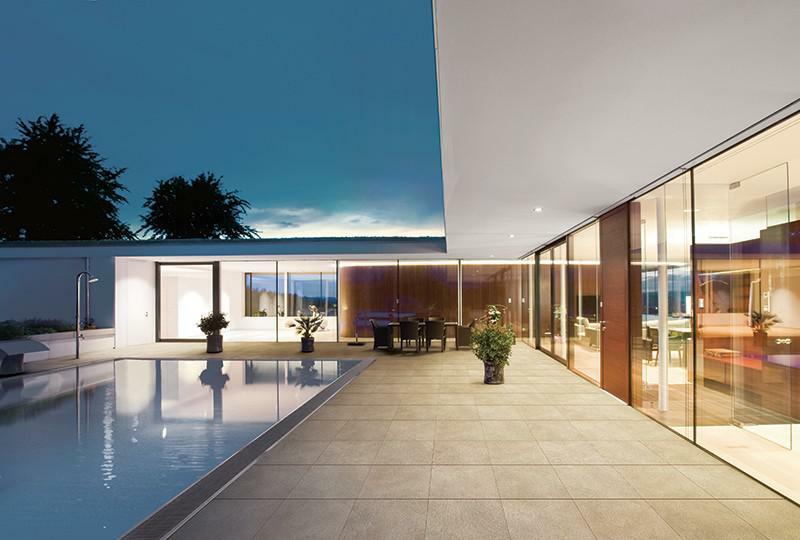 The characteristics of this porcelain stoneware combined with the aesthetic value of Twenty surfaces give a stylish finish both to outdoor spaces and to interior rooms. Stylish surfaces with multiple benefits. In addition to its carefully-designed appearance which creates a coordinated environment both indoors and out, Twenty’s technical characteristics offer significant benefits for outdoor surfaces. It is simple to install and replace, without the need for specially trained staff.Twenty floors are moss- and mould-resistant and cannot be damaged by fertilisers or insecticides. They can be easily cleaned using normal cleaning methods or a pressure washer. Surfaces are non-slip and will not wear after prolonged contact with salt, making Twenty particularly appealing in areas close to the sea (i.e. affected by salt water) or in higher-altitude areas where salt spreading is common during winter. Indoors and out brought together by one elegant, refined surface. Twenty+ is a 21 mm thick slab made up of two pieces of 10 mm technical ceramic joined together. This technique allows an interior surface to be transformed into a slab that offers the same performance as a single-piece slab designed for the outdoors. This solution is particularly appealing as it creates a continuity of surfaces between indoor and outdoor spaces.Twenty+ is only available on request for all 60x60 R10 A+B+C, R11 A+B+C, R12 A+B+C products of the FMG collections. Five practical and versatile solutions to suit every need. Propylene or steel support structure reduces differences in level via micrometric height adjustment system (max 20-50 cm) and also features anti-squeak sheaths.The raised installation allows a cavity to be prepared under the slab to lodge pipes for irrigation and lighting systems. Easy to inspect, this is the ideal system to create finished and sophisticated spaces.Ideal for per balcones, terraces, gazebos, patios and public served areas.Creating an appealing environment with a Twenty raised system is easy. It can be used for carrying irrigation systems directly to flower beds, creating a unique space with water games, installing lights on a terrace or in outdoor spaces, etc. Installation with adhesive on screed. Conventional laying with adhesives.Twenty’s increased thickness is the ideal solution for creating paving suitable for vehicles, thanks to its exceptional resistance to breaking loads. It does not absorb stains and dirt is easy to remove, even with a pressure washer. In urban design structures, installation with adhesive on screed is recommended for cycle path tracks, for pedestrian walkways and pavements. On grassy areas, Twenty can be installed dry, without using adhesives and specialised personnel. It can be walked on immediately and it perfectly integrates with the environment.The simplicity of this technique allows original routes and tracks to be created, in both large public parks and private gardens. With this type of installation it is possible to modify works at any time, reusing the same material. In addition to attractive aesthetic effects in garden areas, this type of installation also ensures rapid water drainage. 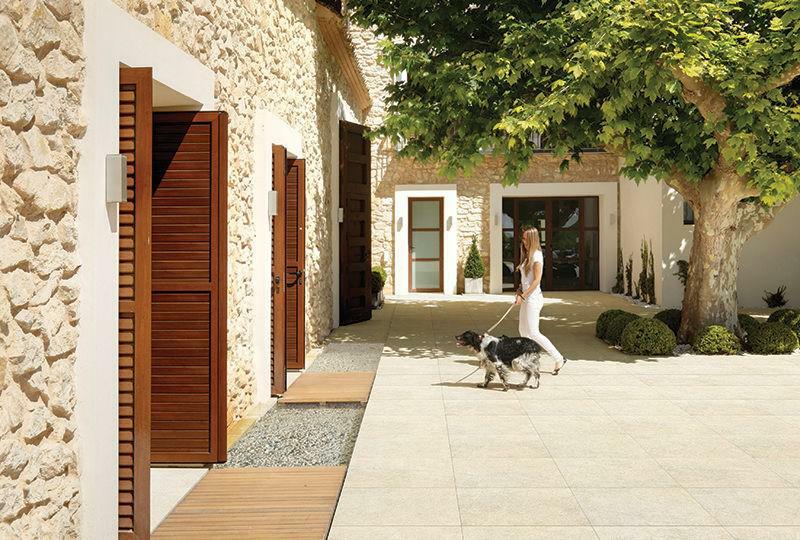 Easy to install, it resists the test of time and does not have issues settling.Ideal for gardens, terraces, balcones, patios, pedestrian walkways and urban areas. Its non-slip, salt-resistant surfaces make Twenty the perfect surface for beach facilities. The product is safe and can be dry-installed to lay down connecting paths or walkways. The possibility to use Twenty with different installation methods makes it possible to create continuous surfaces, even when installed on different foundations. On beach structures, uniform flooring across different spaces is now possible thanks to Twenty. 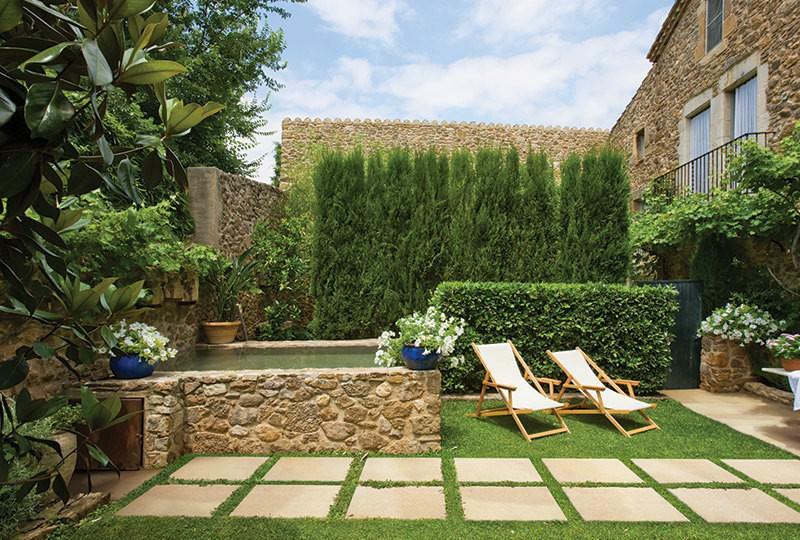 For example, the same surface can be installed with adhesive in a bar, raised to run electrical and water systems under adjoining terraces and patios or dry installed directly onto the sand to create walkways for bathers..
Freedom to shape and design for exclusive and personalised exteriors dedicated to your well-being. Twenty, created to maximise outdoor spaces, includes customisable special prices for both private and public pools. Grilles, both straight and corner pool borders, stand out both for aesthetic appeal and high technical performance. With Twenty, it is possible to freely follow the design shapes of the pool and always find the right border finish to coordinate with the surrounding surfaces.